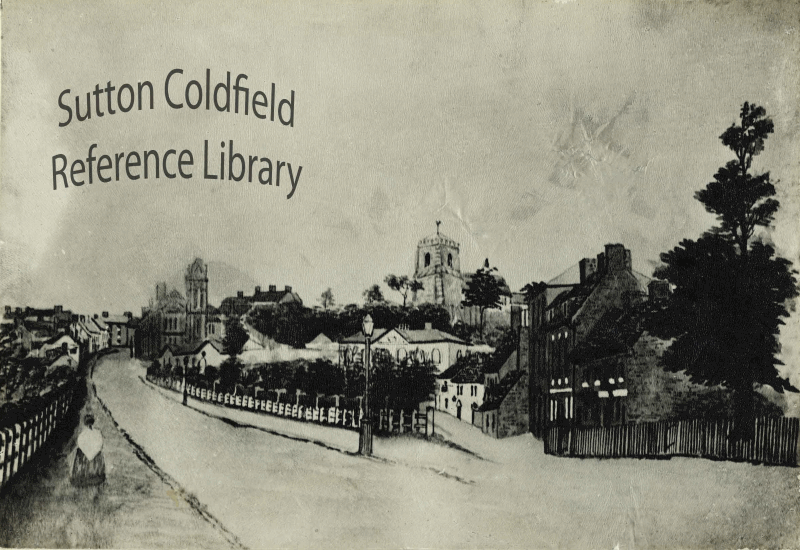 The Parade in Sutton Coldfield was christened in 1880 - before that it was known as The Dam. For many centuries it was indeed a dam, forming a large reservoir extending beyond the present shopping centre and railway embankment, fed by the E Brook. This pool delivered a reliable supply of water to power the town’s watermill, which stood below Lower Parade. But the dam had another function, carrying the road across the swampy valley on a causeway; the causeway was well-maintained because the miller was required to keep it in good order, and in the fifteenth century the lord of the manor strengthened it with stone. This ancient causeway followed the course of Lower Parade, the road then turning steeply up Mill Street to High Street. In 1807 the road from Birmingham to Watford Gap came under the control of a Turnpike Trust, empowered by Parliament to put the road in good order and to levy a toll on the traffic using it. One black spot on the road was the steep gradient of Mill Street, and the trust was empowered, when the Act of Parliament was renewed in 1817, to undertake works to reduce the gradient. This was achieved by making an embankment at the bottom of the hill (now the north end of the Parade) and a cutting at the top - the road level at the corner of High Street and Mill Street was lowered by several feet. A contemporary, Sarah Holbeche, wrote in her diary “1824. The top of the town was carried to the bottom”. By then the mill was no longer in use and the pool had been drained, but there was little development in the area, which was considered damp and unhealthy. But once a start was made, and the dam renamed in 1880, The Parade soon became Sutton’s busy shopping street.